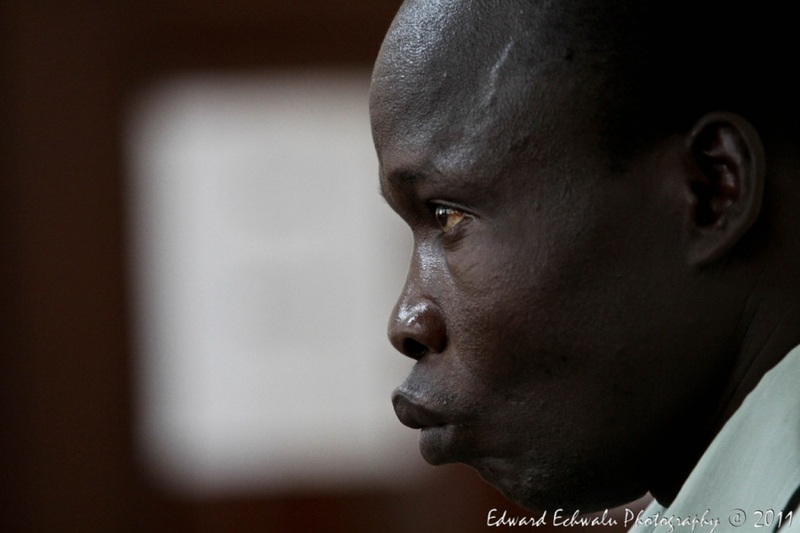 An LRA Commander on Trial. But Should He Be? Even before it started, the trial of former LRA commander Thomas Kwoyelo was controversial. His “day in court” was delayed for months; his application to the Government for amnesty was never answered; the claim that he had committed crimes in the context of an international conflict seemed at best unclear and at worst legally dubious, at least to some observers. But could Kwoyelo’s trial finally bring clarity to the amnesty question in northern Uganda? There is little doubt that the single issue to cause the most controversy has been the question of amnesty. 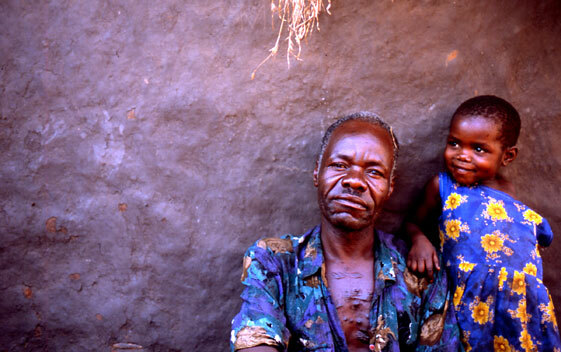 After being captured by government forces, Kwoyelo applied for amnesty under Uganda’s 2000 Amnesty Act. 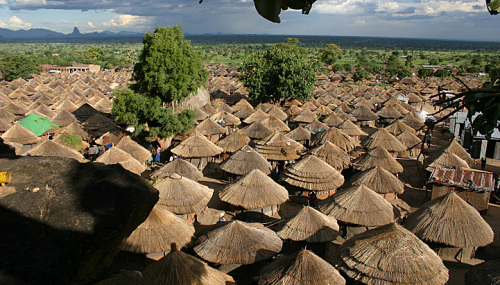 In brief, the Act was passed as a result of pressure from local civil society groups in northern Uganda in order to provide rebel fighters with an incentive to come out of the bush. The hope is that the promise of forgiveness through amnesty rather than punishment – legal or otherwise – can lure perpetrators back into society. Since its inception, thousands of combatants have received amnesty certificates although the number has dwindled to little more than a trickle in the past three years. Fueling controversy in Kwoyelo’s case is the fact that the government’s Amnesty Commission has never provided Kwoyelo with an answer as to whether he can or cannot receive amnesty. Instead, his application is “pending”. Making matters worse – and more legally precarious – the same organization, the Directorate of Public Prosecutions (DPP) is both in charge of deciding whether Kwoyelo receives amnesty and prosecuting Kwoyelo. The conflict of interest is palpable. As explained in a previous post, Kwoyelo’s lawyers believe that the prosecution has violated Kwoyelo’s constitutional right to equality before the law. Other LRA commanders of a similar rank have received amnesty and if Kwoyelo is tried, so too should other LRA commanders who have returned from the bush. Last week, in the second, jam-packed hearing of Kwoyelo’s case at the International Criminal Division of the Ugandan High Court in Gulu, northern Uganda sided with the defense. After, by all accounts, less than pretty machinations by the defense team, the judges agreed that the interpretation of the Amnesty Law should be referred to the Constitutional Court. 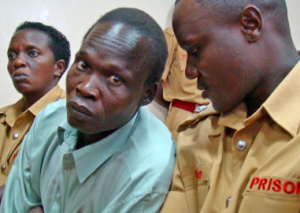 Ugandans have been rather quiet about the Kwoyelo trial and their opinions about his fate. Many follow the case with keen interest but expectations aren’t particularly high and there is an ever-present skepticism about the trial. If Kwoyelo is successfully tried and thrown in the can for the rest of his life, most Ugandans I have spoke to wouldn’t be surprised. But many won’t see it as justice because of the amnesty question. The word “scapegoat” and phrase “used as an example” are often used. If Kwoyelo isn’t tried and walks free, many say that justice too will not have been served. Even some of those who see Kwoyelo as a scapegoat will argue, in the next breath, that at least someone is in the dock and that just seeing Kwoyelo in cuffs is a relief to victims and survivors. But in a twist of irony, the Kwoyelo case may yet give Ugandans a gift: finally sorting out the country’s amnesty law – who it applies to, who it doesn’t apply to, and why. While human rights organizations bemoan the use of amnesty laws, their standing in international criminal law remains unclear. Rather than a crystalized duty requiring all perpetrators to be prosecuted, many of these organizations are in the midst of what might be described as talking norms into reality. With the creation of the International Criminal Court, it is often argued that amnesties for “those most responsible” are a violation of international law. But it’s worth noting that even the ICC’s Rome Statute is silent on the issue of amnesty laws, something which did not escape its authors. Amnesties for low-level perpetrators have seemingly never been an issue for international criminal justice or human rights advocates. They continue to be employed regularly. Indeed, the granting of amnesty laws for international crimes appears to be as frequent today as before, leading some to suggest that there cannot be an international duty to prosecute and prohibit amnesty if state practice is so divorced from that duty itself. It is increasingly clear that certain types of amnesties can contribute positively to transitions. Recent empirical studies suggest that human rights trials of those most responsible for atrocities, complemented by amnesty for low-level perpetrators have a positive impact on human rights and democracy. Further, while international crimes including genocide and torture may require prosecution, amnesties for treason, sedition, illegal transport of arms, mayhem, arson may be granted legitimately and with little controversy. While the government passed the Amnesty Act in 2000, they have never clarified whether there could or would be exemptions. The Act essentially stipulates that if you have committed crimes as a rebel but renounced the rebel cause, you are entitled to an amnesty. In 2006, the government passed an amendment which declares that it can create a list of individuals who would be barred from receiving an amnesty. During the same time, as peace negotiations between the LRA and the Government began in Juba, government officials declared that those indicted by the ICC, including LRA leader Joseph Kony, could not receive an amnesty. The government later changed their position and did, in fact, offer Kony amnesty. Government officials I have spoken to suggest that this holds until today – if Kony left the bush, renounced rebellion, he would be eligible to receive an amnesty. Part of the problem with the current situation regarding issues of conflict resolution and justice in Uganda is confusion. It’s not surprising. Within a decade the government has tried virtually every approach to resolve the war: conflict resolution by forgiveness through the 2000 Amnesty Act; conflict resolution through military means with Operations Iron Fist (2002) and Lightning Thunder (2008); conflict resolution through the law by referring the situation in northern Uganda to the ICC in 2003; and conflict resolution through dialogue by engaging with the LRA in peace talks between 2006-2008. With regards to the amnesty, many people have different and contradictory understandings of what the amnesty law entails. While some believe that Kony could never get it, others believe that he must receive amnesty and that he is entitled to it. Some take the government declarations about who could receive amnesty during the peace negotiations as law and believe that senior LRA officials must, therefore, be excluded. Others believe that, surely, there must have been legal amendments to the Amnesty Act excluding those most responsible. However, in my discussions with officials at the Amnesty Commission in Gulu, they have never received an amendment to the Act nor a list. Now, Uganda’s Constitutional Court will, once and for all, be forced to decide on the amnesty question in Uganda. Their ruling will presumably provide clarity with regards to who is eligible to receive amnesty and why. Just as importantly, the ruling will demonstrate who isn’t eligible. Finally clarifying the amnesty issue would be a massive contribution to efforts to both achieve peace and justice in northern Uganda. Those rebels in the bush who may be considering defecting from the LRA and returning to their towns and homes need to know whether or not they will receive amnesty or not. Quite simply, even the provision of clarity would also help Ugandans to understand the mechanisms that the government is employing to resolve one of the most brutal conflicts not only in Africa, but in the world. Lastly, it must be remembered that, however lofty and well-intentioned, the justice achieved by prosecuting individuals is always undermined if the trials are in contradiction to other laws. If Kwoyelo were prosecuted while his amnesty application remained “pending”, the justice meted and seen would always be hampered by accusations that justice wasn’t achieved but was rather orchestrated by the government. The old adage suggests that not everything comes as advertised. Ugandans may not expect much from the trial of man for allegedly committing dozens of vile crimes. But in clearing up the misunderstandings and confusion around the amnesty in question, the Kwoyelo case may yet be an unexpected gift to peace and justice in Uganda. This entry was posted in Amnesty, Human Rights, International Criminal Court (ICC), Justice, Kwoyelo Trial, Lord's Resistance Army (LRA), Peace Negotiations, Uganda. Bookmark the permalink. Interesting post. I have the impression that much of the ambiguity surrounding the amnesty and accountability question is created deliberately by the Government of Uganda to keep all options open in handling the LRA and especially it’s commanders. The different changes in approach by the GoU in their efforts to end the conflict you described point in that direction.